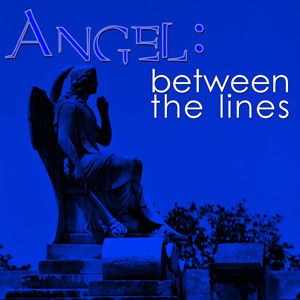 Angel Between the Lines » What about MY SHOW Between the Lines? Since we started we’ve had a lot of people come up to us and say, “I have this GREAT idea for you guys…” In the past we’ve said we couldn’t do anything more than our own ideas, but Kim and I have decided to give anyone the opportunity to have a _____ Between the Lines episode. If you’d like to have Lost Between the Lines or Farscape Between the Lines or My Little Ponies Between the Lines, here’s the process. You write us a 30 page script (in BtL Studios format, if you need it let me know). The script goes to the Executive team for evaluation. If we like the script we’ll produce one 30 minute episode and play it sometime during the ABtL or FBtL (or another main BtL) run. If the script is not up to par, we’ll regretfully send it back to you to either work on, or try again (with reasons why we felt the script needed more). There are some limits – you can not do a show that we plan on doing in the future – Veronica Mars, Supernatural, Firefly and Sugarshock. And you can not do a show we’re currently doing (Angel) or Buffy.